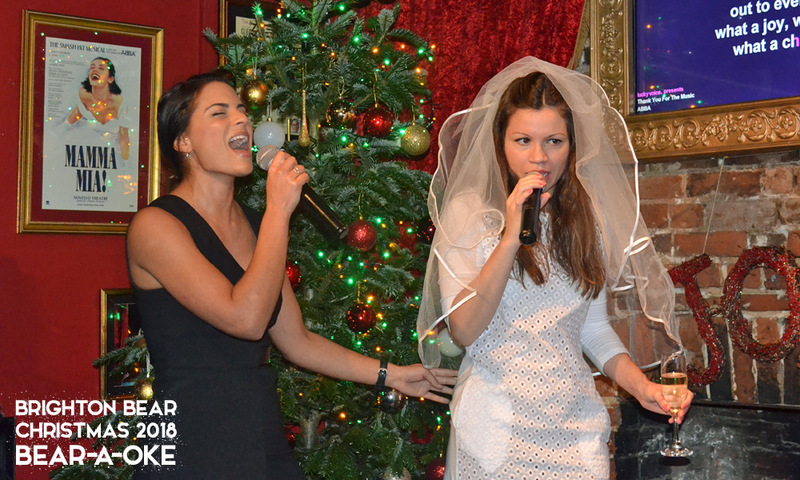 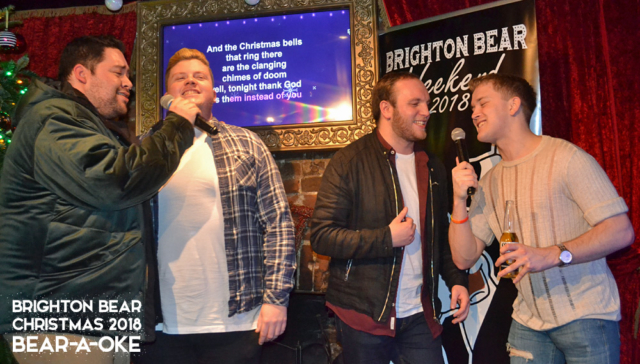 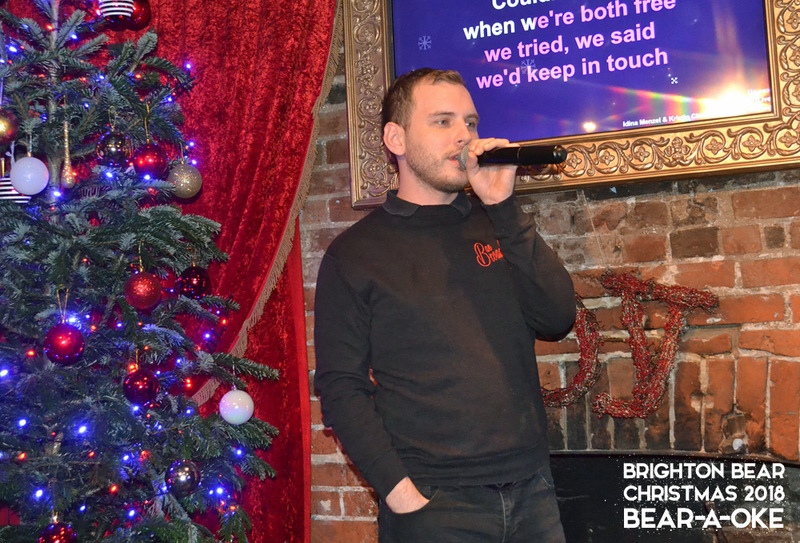 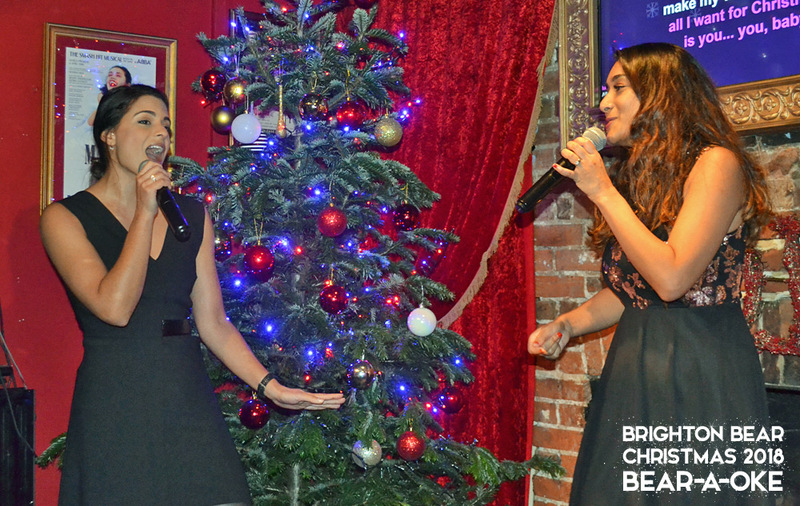 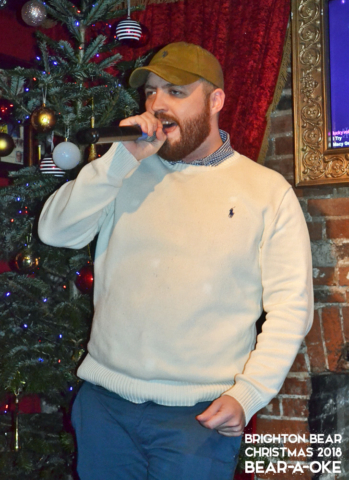 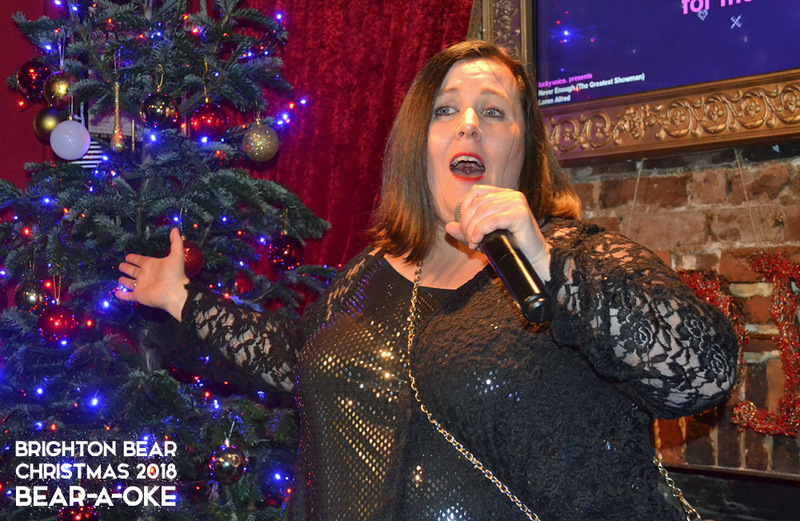 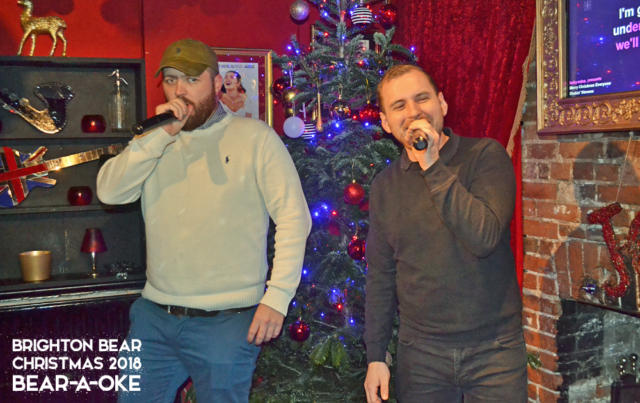 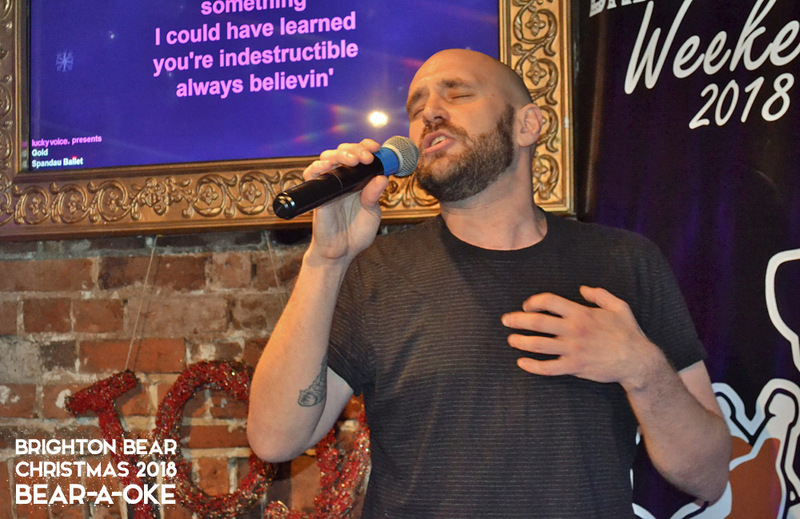 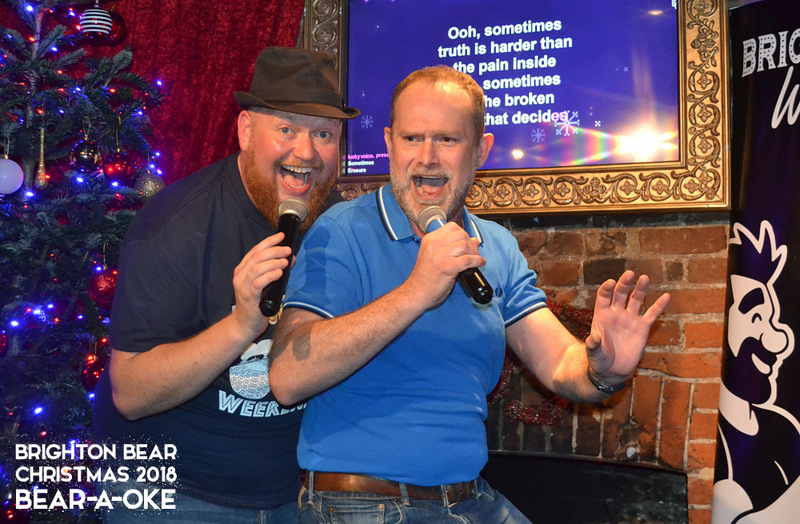 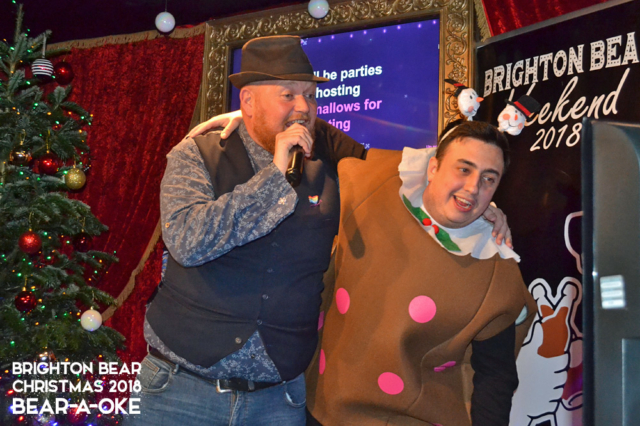 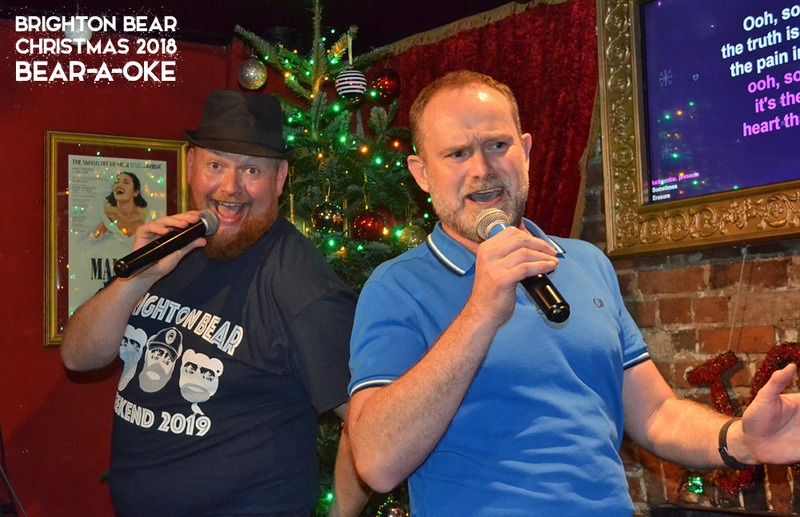 The photos from our Brighton Bear Christmas Bear-a-oke evening on 8 December 2018 are now up! This fantastic evening raised £330.94 for the Rainbow Fund. 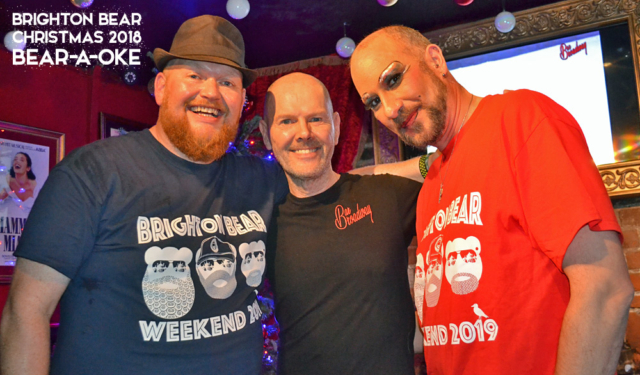 Huge thanks to our fabulous hosts, Jon B and Candi Rell, and to the staff at Bar Broadway for their hard work and generous donation. 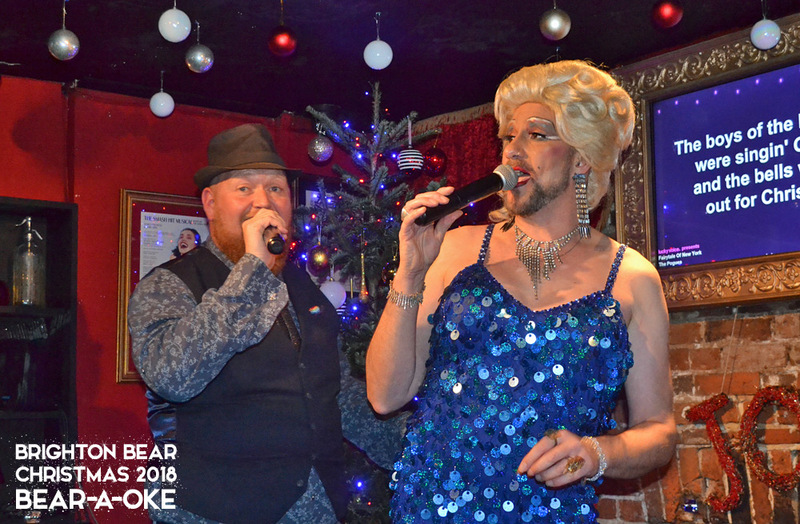 We are overjoyed to announce that the grand total raised by our three Christmas events in December 2018 is £1054.77. 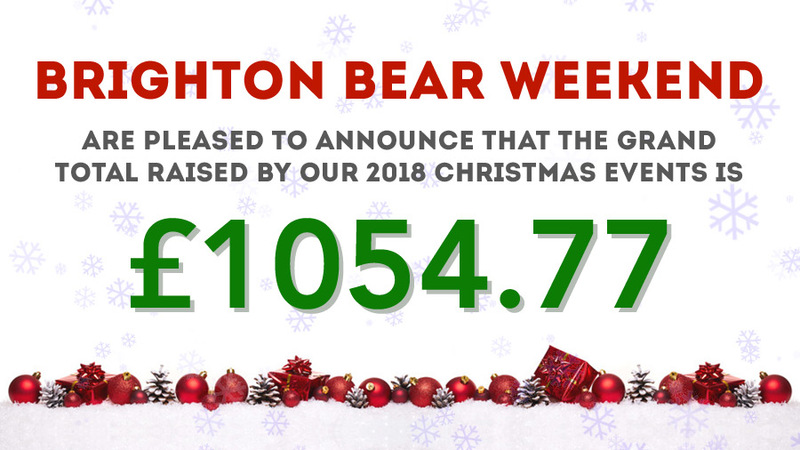 As always, this amount will count towards our annual total donation to the Rainbow Fund. 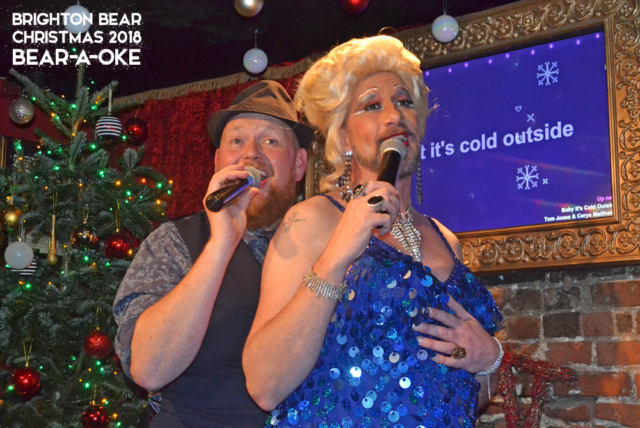 The three events were Bear-a-oke at Bar Broadway on 8 December (£330.94 raised), Jingle Bears at Subline on the same night (£370.00), and our Christmas Quiz at the Camelford Arms on 20 December (£353.83). 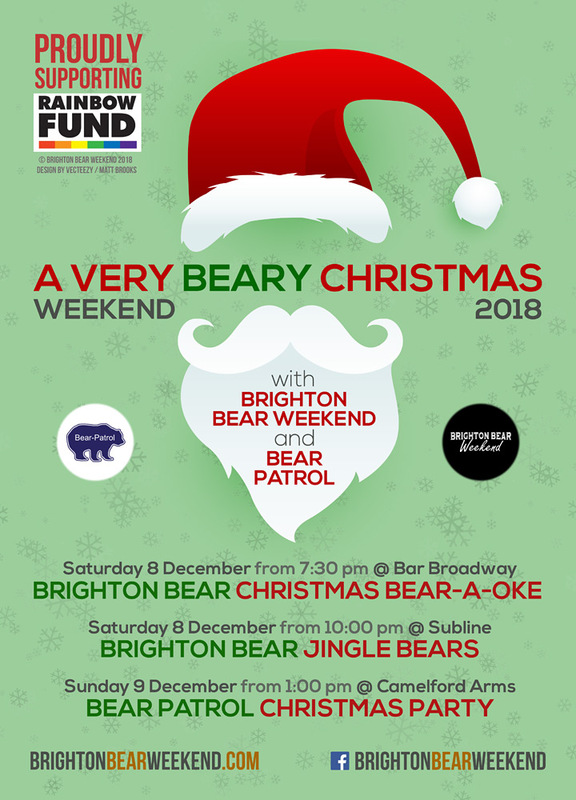 Many, many thanks to everyone who made this possible: all of you who came to our events and kindly donated so much; to the bar owners and staff who worked so hard and made such generous donations; to Jon B and Candi Rell who hosted Bear-a-oke with great talent and enthusiasm; and to all of the raffle prize donors, especially Chris Sarson who gave us the amazing star prize of a gift basket. You have all been wonderful, and we look forward to seeing you again in 2019! 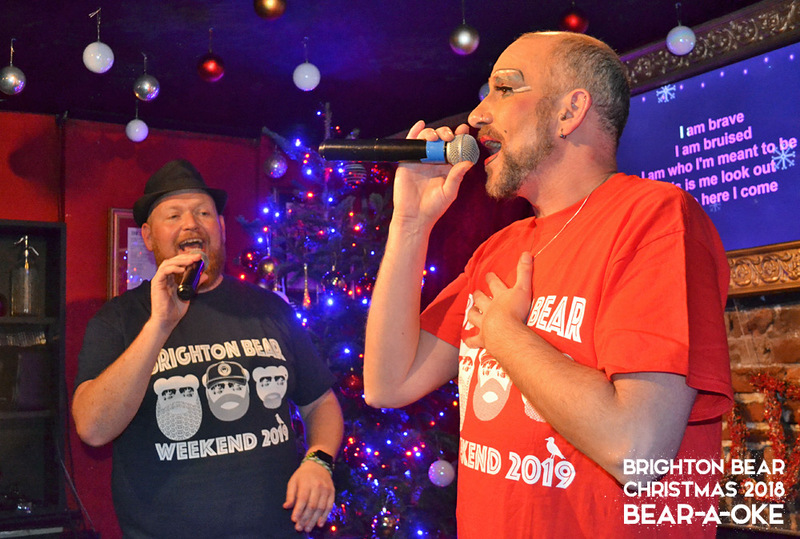 As always, the profits from all events will benefit the Rainbow Fund. So get your worst Christmas jumper on and join the festivities!